Ya Jagoff!!! | Labor Day off for the YaJagoff Podcast? Home Uncategorized Labor Day off for the YaJagoff Podcast? Every Tuesday, I post our weekly YaJagoff Podcast here. We record it on Saturdays. However, we took this past Saturday off. Yep… we were sitting around doing NOTHING on Saturday morning for once. Ya know what that meant? There were no donuts or sausage or nothin! The bottom line, we ain’t taking any more Saturdays off!! If you’ve never clicked on these links to listen the podcast, we are coming up on Episode 37. So you need to get caught up via this blog (Search “Episode 1” or whatever all the way up to 36). If you’re not sure what a podcast is, it’s like a radio show but, on the internet and you can listen to it on your smart phone, your computer or whatever WHENEVER you want. It’s all about you! And our YaJagoff Podcast is all about Pittsburgh.. and you can listen to it WHENVER you want. Since we took this past Saturday off, here’s one of our favorite episodes with one of Pittsburgh’s coolest radio guys, WDVE’s Sean McDowell! 00:52 What are you when it comes to shopping buggy returns? Do you walk up and nicely place the buggy into the row at the cart return or do you shove it from 20-feet away? The Pittsburgh Marathon and her NEW JOB working for Hillary Clinton???? 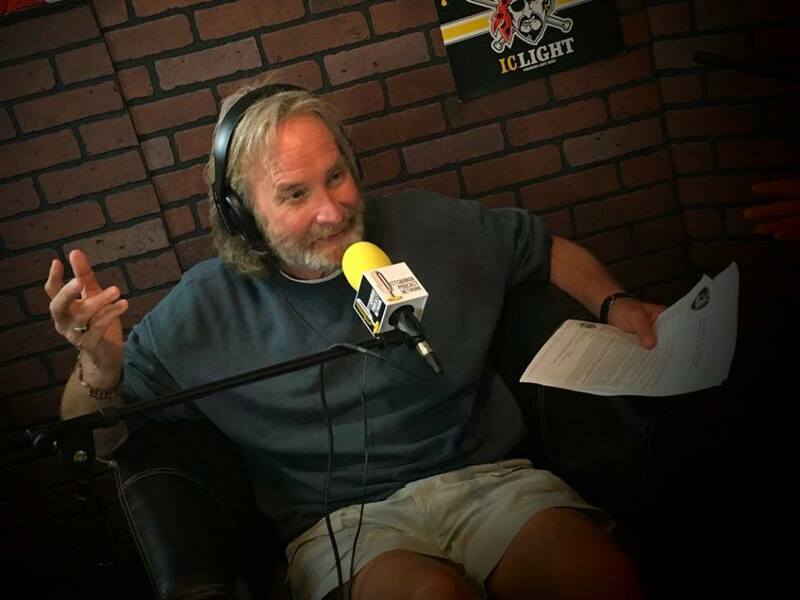 14:51 We interview Pittsburgh radio legend, Sean McDowell, who has been doing afternoon drive-time broadcasts for 20+ years! He’s being inducted into the Cancer Caring Center, Pittsburgh Legends of Rock and Roll. Get tickets to the Thursday night event (Stage AE) here. 28:50 After we let Sean take a beer break, we ask him the REALLY, REALLY hard questions! 39:30 John and Craig wrap-up. The FoodTasters is giving away 3 $25 gift cards this week. Go to The FoodTasters enter to win. Previous articleWill You Be John Knight’s #Jagoffs Party VP Running Mate? How to Enter! Next articleYakkin’ Episode Throw Back – Ernie Ricci Italian Sausage!